So many people came out to the Vintage Yard Sale Utah! The turn out was amazing, the weather, spot on, and the love of so many people who love vintage and the memories that vintage items brings makes my heart happy! Wanted to send a quick shout out to my awesome sponsors for the Pine Needles Sewing Retreat! Everyone gets some cute bits o swag when they arrive at the Heber House! Thanks to everyone who contributed! Sewing scissors cookie cutters by Orson Gygi. They have the BEST selection of cookie cutters around! An extra special thanks to Pine Needles for all of their fun swag kits and for teaching us the amazing quilt, US Map and "Hello" Banner projects! Make sure and shop Pine Needles for all your sewing needs and take a class! Sew. Much. Fun. First, I'm selling it all! All of my vintage collections and stuff I've been storing away forever! The good stuff! It's all going up for sale and I'm heading out on the highway to pursue my dream of pickin across the U.S. First stop. Colorado! Next, Kansas where there's this amazing barn I've been dying to shop! Last stop. Oklahoma where I hear it's a picker's heaven. Old barns on the side of the road. That's it. We're stoppin. The best part? I'm gonna take you along pickin with me! Virtually of course. 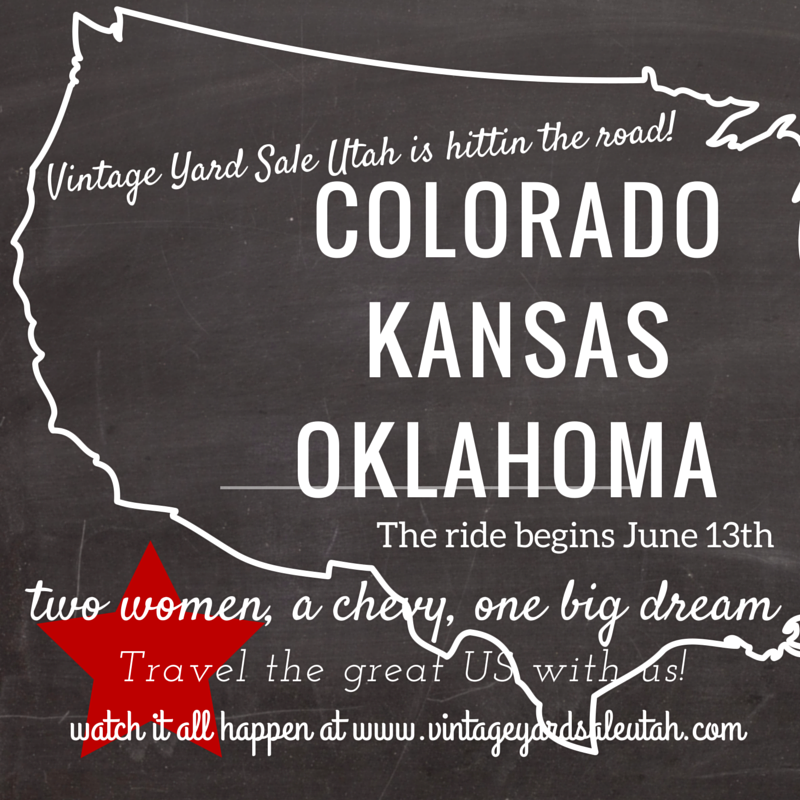 My new website will be launching just in time so I can show you all the places we go, the great vintage finds we'll pick up on the road and I'll be bringing back some treasures for you! 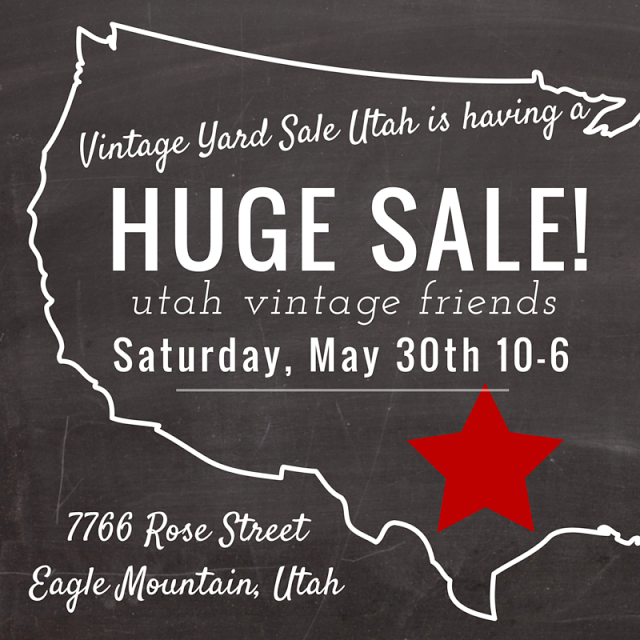 Join me at my Vintage Yard Sale Utah Brand New Website! I LOVE hosting Reclaim Yourself Retreats! I get to meet amazing women from all over the world! We get to spend a weekend doing what we love most. Pine Needles hosted this retreat and let's just say, they are so talented and they love to share what they do with others. 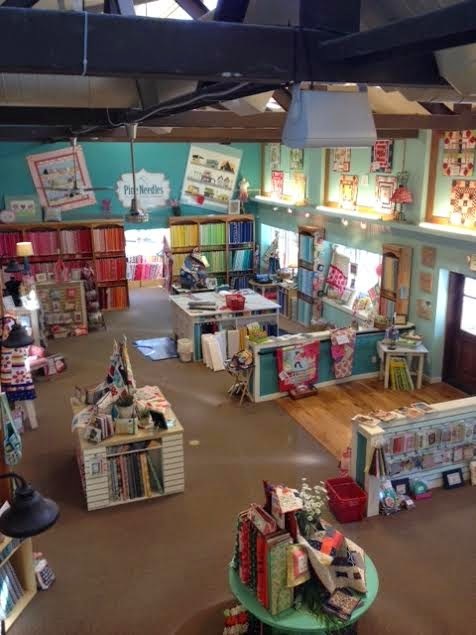 Stop by their amazing shop located in Gardner Village and you will never shop anywhere else again! Thanks to Holly & Sandy for sharing their talents with us! Large drinks and project display makes crafty girls happy. Have you ever pieced the United States together? My geography has improved so much since this retreat! Learn your states, learn about your country. Holly & Sandy showed extreme patience while putting the maps together. This was the most beautiful quilt, completed in two days by the cutest lady! They even named a farm after her. Christy is so talented and shared her mad sewing skills with all of us. I was so impressed! I learned new lingo like "fussy cutting". Cutting your fabric so that the image shows front and center. This is the first time I held a day class at the retreat. So much fun to see friends and see their completed projects! This cute lady flew in from Canada! We had her country cut out and ready to go. It turned out so cute! Thanks for coming Betty! Awwww...cheese. Heber Valley Artisan Cheese always delivers! Their cheese is amazing. My favorite? The garlic cheese spread. Loved these hot pads and the little note to encourage you to buy them. Love. See? A farm named after our friend! Thanks to my cousin Mindy for being my assistant all weekend! She is amazing! Came down one morning to these on our work tables. Darling fabric covered note books hand made by Pine Needles! Smart lady. She's already working on Christmas projects! She completed this adorable Christmas wreath quilt during her stay! These ladies can sew! Cheryl made these cute accessory bags for everyone! Goodbye Heber. Until we meet again. Next retreat. September, 2015. Sign up now! What an amazing and beautiful weekend this has been! Loving these women who come to craft, create and reconnect! It's been beautiful here in Heber, Utah this weekend! Fun flowers in a sewing box to greet the guests! Vintage Sewing books with the cutest patterns! A sewing box is a great place to put your snacks! US Maps were the theme this weekend! These women are so talented! We took a break for lunch. These ladies cleared out the grilled cheese sandwiches with sugared bacon & Granny Smith apples. Add some Tomato Basil soup and we were ready to keep going. It feels so good when you finish your project! 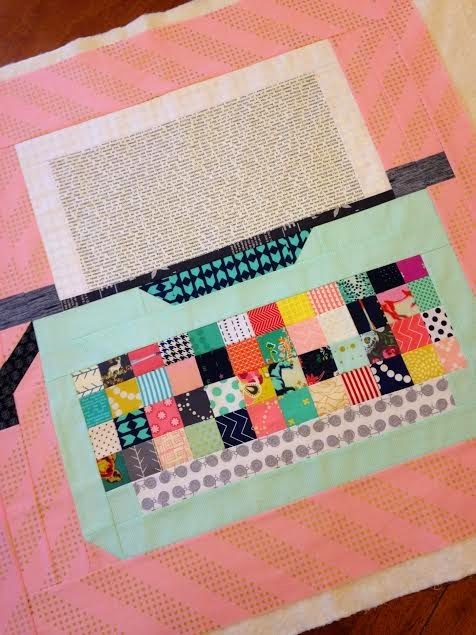 Love this quilt by Jen Kingwell. It's called Green Tea & Sweet Beans...it's to die for! These women knocked out project after project! Lots of fun and late night sewing sometimes leaves your project being displayed upside down! Stay tuned! More pics to come! SEW much fun! Amazing women! Loved every minute! When are YOU coming? Next up: September's Free-For-All Creative Fest then the big Christmas Retreat in November which is almost FULL! To see what's coming, click on "Upcoming Retreats" in the top left corner of my blog!